A modern kitchen isn’t what you think it is. “Modern” in interior design speak, refers to “Mid Century Modern” which the TLDR version is essentially ’50s and ’60s inspired decor. While the lines are clean, the use of plush fabrics or shabby chic/crackled looks are avoided. If you want to look more into “modern” as in contemporary kitchens or techy kitchens, click those links. 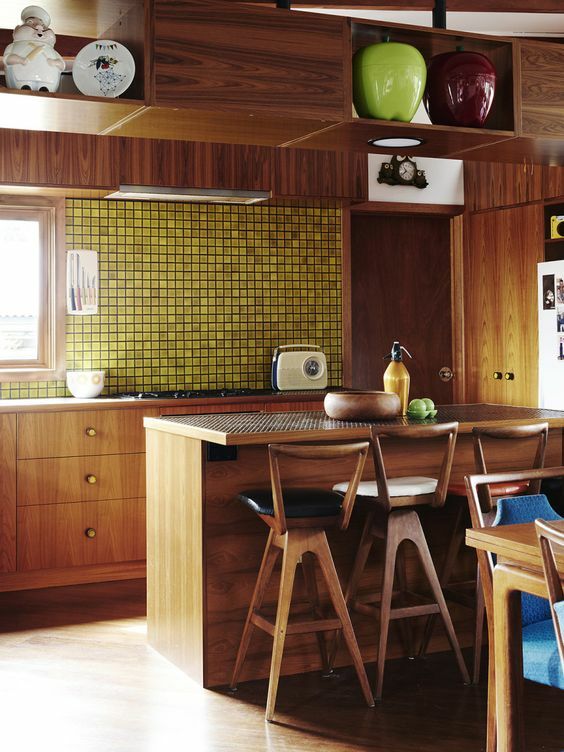 But if you’re here to add a little nostalgia to your kitchen, keep reading. 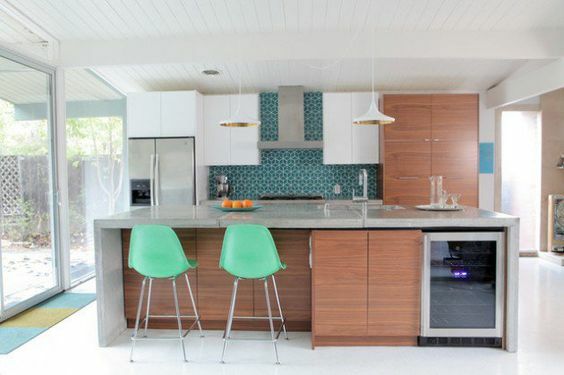 Watch a few episodes of Mad Men to get some style tips for creating your new modern kitchen. You’ll notice there are a lot of clean edges, with use of dark woods and bold colors. Try to incorporate organic materials in your planning process, too. 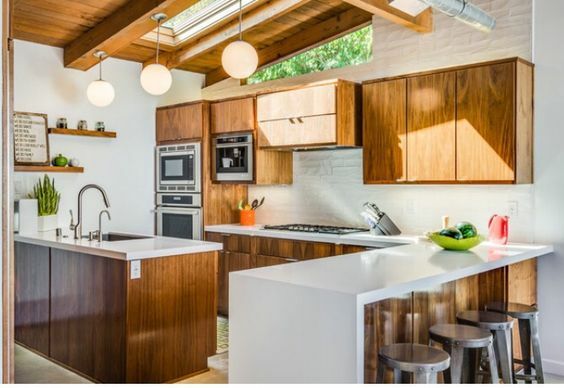 If you can make a more seamless cohesion of indoors and outdoors (think big windows, indoor porches, etc), you’ll have little trouble creating the feel of a 1950’s kitchen in no time. The modern open and spacious, the better. 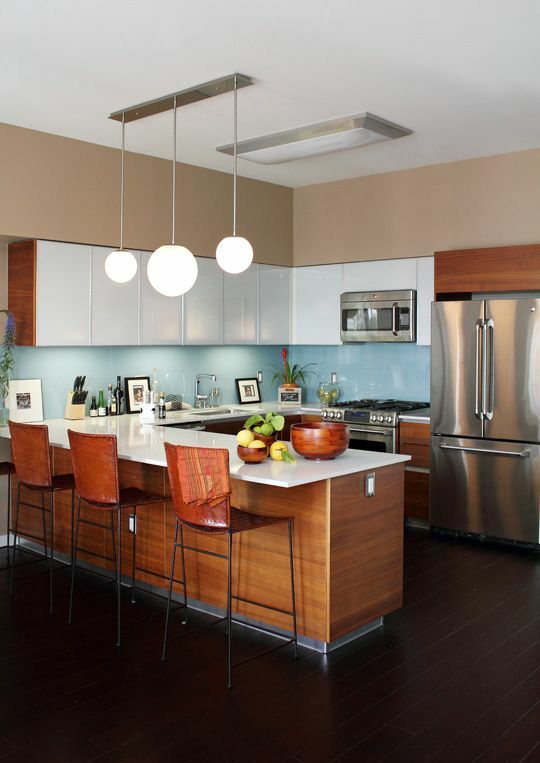 When remodeling for a modern kitchen aesthetic, try to incorporate light, accessible windows, and an open floor plan. Incorporating a dining room table is usually a staple of this design style, so if you’re able to add a breakfast bar or a small kitchen table, all the better.